360 Healthcare is looking for an enthusiastic Nurse Practitioner to join our Mobile Practice. Mobile Practice Nurse Practitioner will be doing visits in patient homes, board and cares, assisted living facilities, and skilled nursing facilities all throughout Orange County. Patients are mostly geriatric and/or homebound. 360 Healthcare is expanding quickly in Orange County and will have two new outpatient facilities in 2019. One outpatient multi-specialty medical center is opening in Anaheim in April/May of 2019. The second outpatient multi-specialty medical center is opening in Westminster in June/July of 2019. This is a great opportunity to later become part of an office-based practice, once these facilities are online in 2019. Looking for someone who is bilingual (Vietnamese/English, Spanish/English). 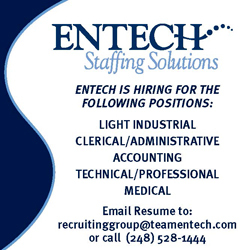 We are offering a competitive compensation package depending on experience. Bachelor Degree in Nursing from an accredited Nurse Practitioner program. Masters degree preferred. Maintain and further develop when appropriate competency in clinical practice through self-study and attendance at educational programs. Licensed by the California State Board of Nursing as an Advanced Practice Nurse. National Board Certification as a Geriatric, Adult, or Family Nurse Practitioner. Minimum 1 year of experience with the frail or elderly population within the last 3 years is required. 5-7 years of nursing experience, with three or more years of Nurse Practitioner experience in both an office setting and a long term care setting. Previous experience with an interdisciplinary approach to care management. Job Categories: Nurse Practitioner Jobs. Job Types: Full-Time. Job Tags: nurse practitioner.